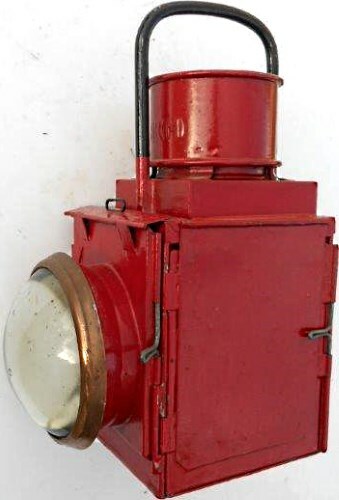 Lot 71 BR (M) Square Red Loco Lamp. All complete with Vessel & Burner. Good condition.